In this letter Martha Berry asks Mr. Sibley to tell Mrs. Price about his their conversation with Mr. Andrews. 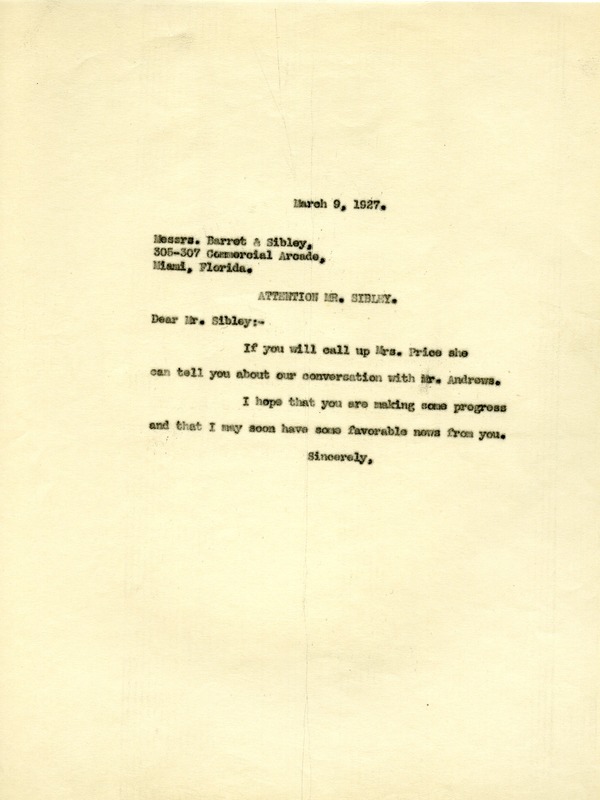 Martha Berry, “Letter to Mr. Sibley from Martha Berry.” Martha Berry Digital Archive. Eds. Schlitz, Stephanie A., Jordan Brannen, et al. Mount Berry: Berry College, 2012. accessed April 24, 2019, https://mbda.berry.edu/items/show/5728.